For a 30-year old who’s done her share of kid-wrangling and hefty hauling, Nell looks pretty spry. Maybe it’s that a deep Kelly green suits her—a little perkier and certainly less glaring than “school bus yellow.” Or maybe it’s the groovin’ playlist that now serenades her travels. But mostly, it seems, Nell is just tickled pickle to have found her second career as the trusty chassis for Lowcountry Street Grocery, delivering just-picked local produce to neighborhoods around Charleston, many of which are food deserts. “I named our bus Nell after my great aunt—an incredibly welcoming, civic-minded woman who bridged a lot of gaps in her community of Roanoke, Virginia,” says Lindsey Barrow, who founded LSG to bridge gaps in the Lowcountry’s food economy by simultaneously helping small local farmers get their product to market and improving healthy food access to underserved communities. “I’m not really sure how I got to be Bus Mom, something just clicked,” says Rachel of her role as Nell’s ad hoc artistic director—she’s a natural at displaying produce, creating signs and serving customers. The 27 year-old College of Charleston grad had dabbled in real estate and the food-and-bev industry before discovering the GNF program by happenchance, spotting an ad in the City Paper. As part of the program, she apprenticed at Middleton Place USDA Certified Organic farm, and loved everything about the small-scale harvesting and post-harvest process. Her LSG colleague Miranda, a Walterboro native where her father and grandfather farmed, studied anthropology at CofC and digs in from a more theoretical angle. Her interest in what she calls the “New Food movement” is as much about shaking up power structures as it is growing tasty veggies. “I believe that small scale farming gives people more sovereignty and creates communities that are more economically, environmentally and socially resilient,” she explains. And on the less heady, more handy side, she simply likes playing in the dirt. For Josh, jumping on the bus was simply the right fit for this soft-spoken mixologist (Faculty Lounge alums know his talents) looking to mix up his career path “to serve the community in some more purposeful way.” He was already a seasoned gardener when he applied to the GNF program. As part of the program, Josh apprenticed with LSG, which at the time was only a part-time operation running two or three markets a week. There he quickly realized he enjoyed the personal interaction side of agriculture, both building relationships with the farmers who provide product and the customers who buy it. “I’m a people person; I guess it comes from all those years of bartending,” says Josh, who has worked full-time for LSG since graduating from GNF. But only after earning his commercial drivers license—something he never imagined would be integral to his farming career. As he steers Nell around the Lowcountry, Josh is grateful that GNF gave him exposure to the various components of farming and agriculture, so he could discover his best fit within the food system before making a major career shift. Lowcountry Local First formalized a partnership with the College of Charleston School of Professional Studies in 2015, which enables participants to earn Continuing Education Credits and a Certificate in Sustainable Agriculture. The shiny seal on paper means different things to each graduate, but there’s no denying the celebration found at the graduation ceremony each fall, where families and friends gather to cheer on the next cohort of Lowcountry farmers and food system leaders. 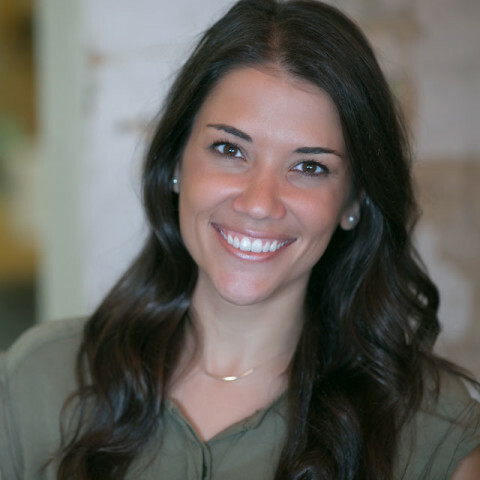 When Jessica Martin entered the GNF program in 2016, the former hospitality industry professional was really just testing the ground. 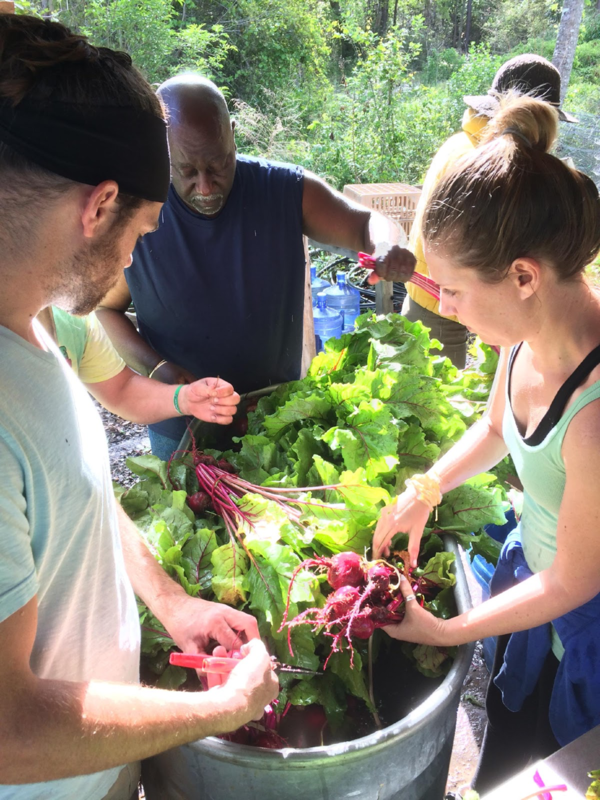 The Vermont native and recent Lowcountry transplant had grown up gardening and around agriculture, and she was attracted to the GNF program as a low-risk way to “see if getting back into farming would inspire me or not,” she says. At the time, she was thinking more along the lines of growing broccoli and cucumbers, maybe some tomatoes and squash—the usual suspects. Little did she know she’d discover a passion for animal husbandry, thanks to her GNF apprenticeship with Casey Price of Jeremiah Farm & Goat Dairy on Johns Island. “The class time was great, but I got a much broader experience by doing an apprenticeship,” says Jessica, who is now farm manager for Wishbone Heritage Farm, which primarily raises livestock on pasture and pigs in woodland areas. “By working with Casey (at Jeremiah) and being so hands on with the animals, I realized that livestock farming made more sense to me and came more naturally. It’s easy for me to understand.” Before, says Jessica, she didn’t think much about how her meat got to her plate. “I was so removed I’d forget it was a living, breathing thing before it ended up on a Styrofoam tray in the grocery store.” Now she cooks and eats with reverence, and always uses every possible part of the animal. She also loves learning about perfecting the cultivation of pasture grasses, and then how the animal manure then goes back to fertilize the land—the full cycle of livestock farming. This story was produced by Stephanie Hunt for Lowcountry Local First in 2018. Applications are being accepted through February 16, 2018 for the 2018 Growing New Farmers Program. Learn more and apply.